Okay, this had to turn out good because I am not the biggest fan of beetroot! There’s been a lot of vegetables that I’ve opened myself up to over the past few years and have really learned to love but unfortunately, beets are not one I can get on board with! However I still eat them, mainly by juicing them because they are very nutritious. They’re wonderful for cleansing your liver and detoxing the body. No matter what though, they still end up tasting quite “earthy” to me. 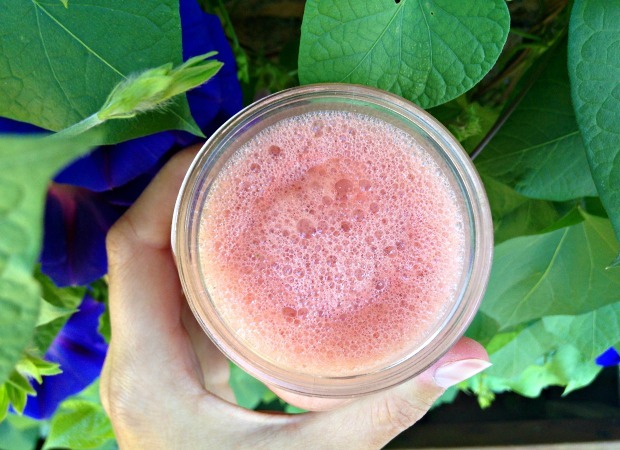 Well, enter this smoothie! Combining beets with chocolate is a classic combination of late and this is an excellent way to get in some veggies AND enjoy chocolate. Guilt Free. Because using raw cacao allows you to keep all the wonderful properties of pure chocolate (such as magnesium which we all tend to be pretty deficient in!) And this is delicious. I promise even if you despise veggies at all, this is a winner. When I make this I don’t really measure too much so adjust the quantities to your liking as these are estimates. 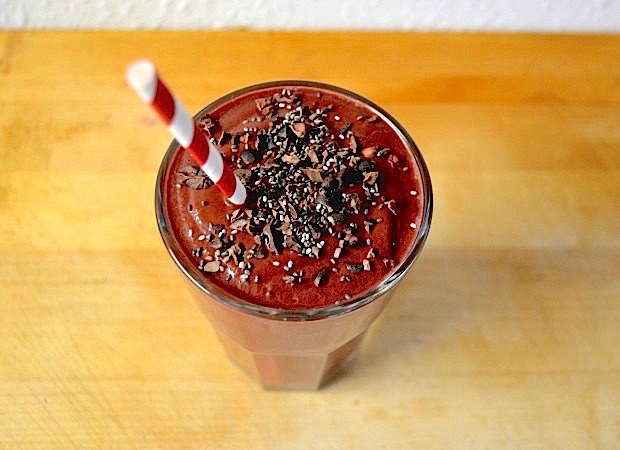 You may find you’d like to add more cacao or berries or even a frozen banana to the mix. I added hemp hearts to mine for an added boost of protein. And a sprinkling of chia seeds and raw cacao nibs on top to make it that little bit more chocolatey!